I have been drawn to this place a number of times when it comes to my photography, as I find attempting to capture this moment a challenge. 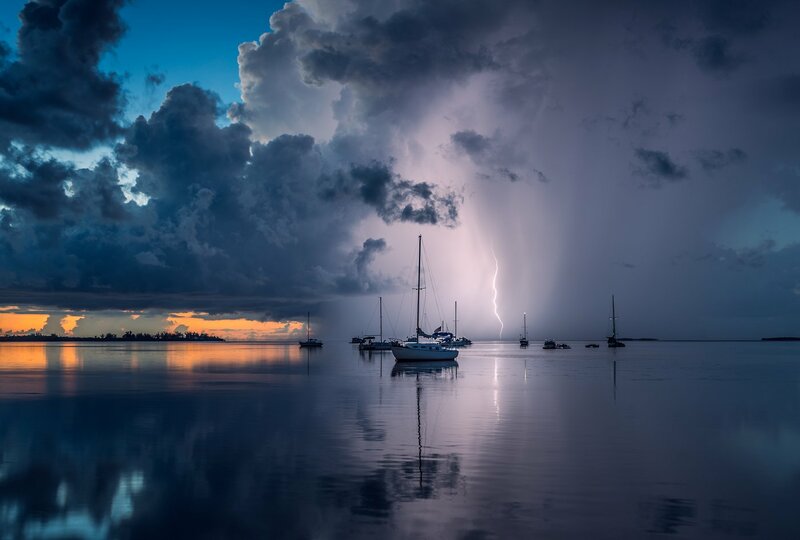 I feel the contrast between the setting of the sun and the lightning just creates a sense of drama to the moment, and displays rich and vibrant colours against the motionless water. I call this pair of photos ‘The Melody of the Lighting Storm’, as the boats invoke a somewhat melodic feeling, almost as if they were musical notes on the still line of the quiet sea.